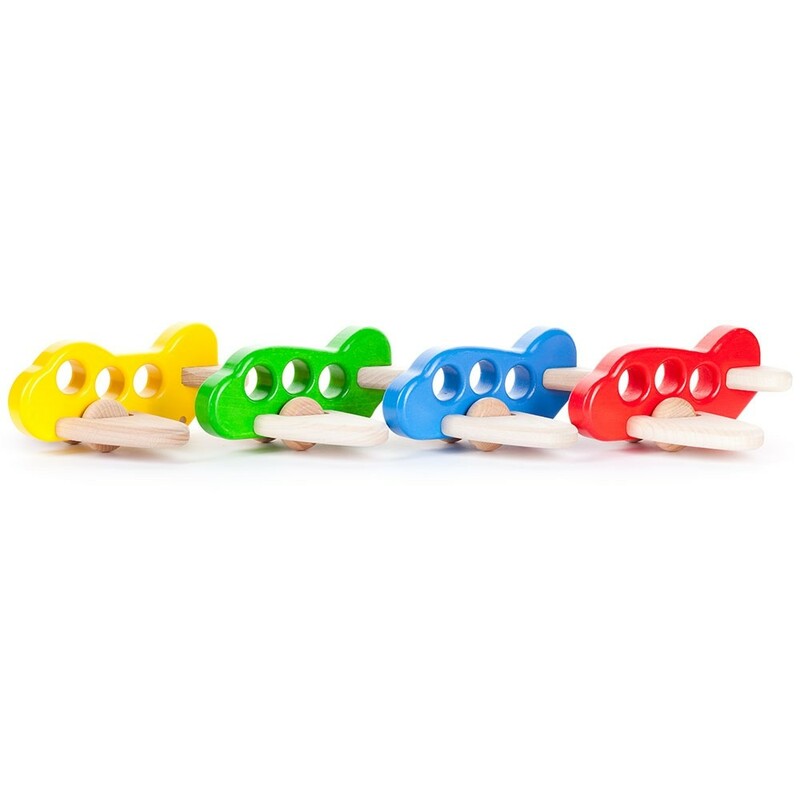 Little pilots will love making these wooden toy airplanes soar into the sky. 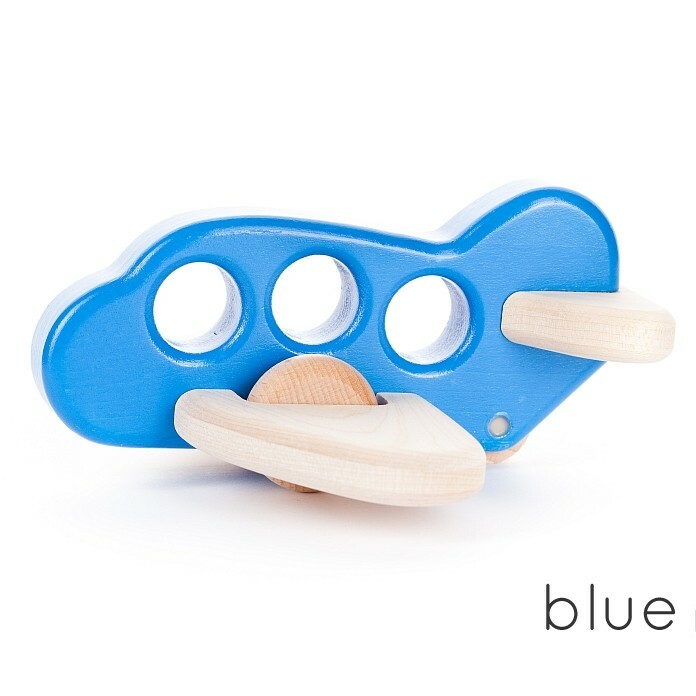 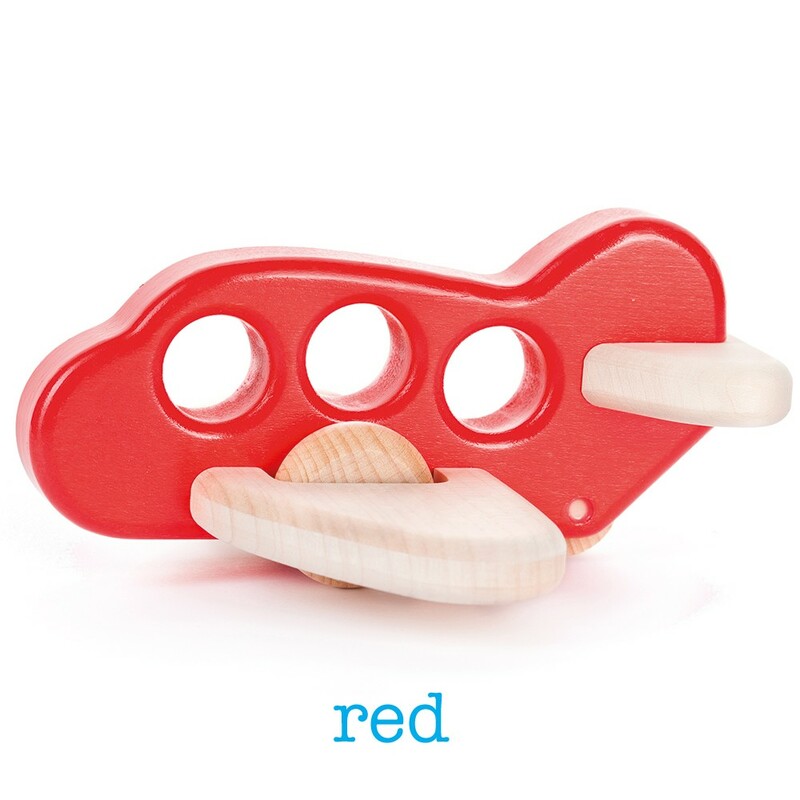 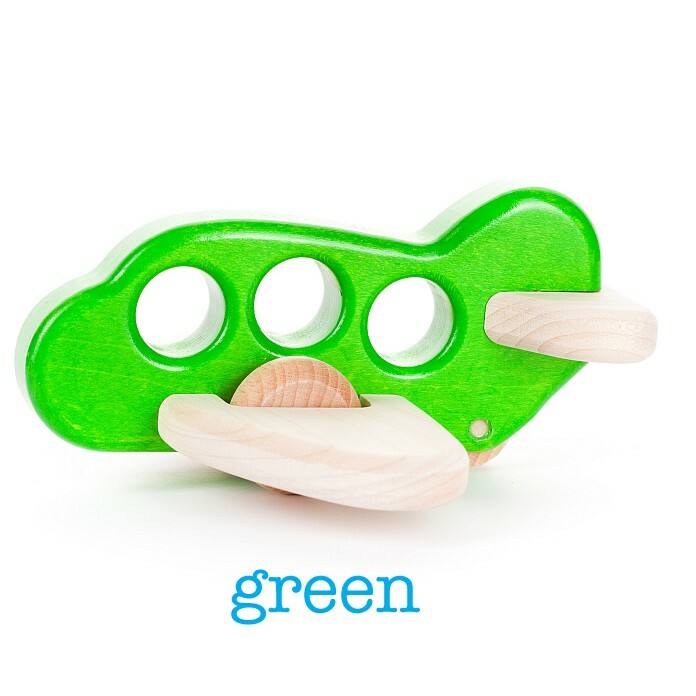 A chunky wooden toy that's perfect for little ones to play with and comes in two colours. 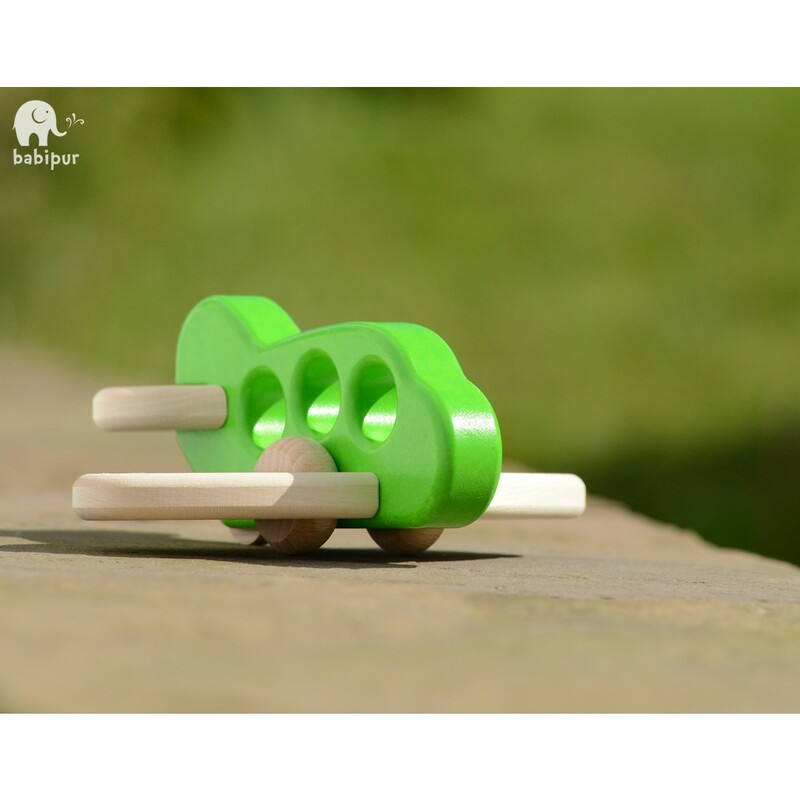 The wheels of the plane are made from wooden balls which spin as you push it across the floor. Choose your favourite colour and fly! 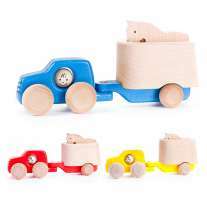 This toy measures 15cm x 15cm x 7cm.